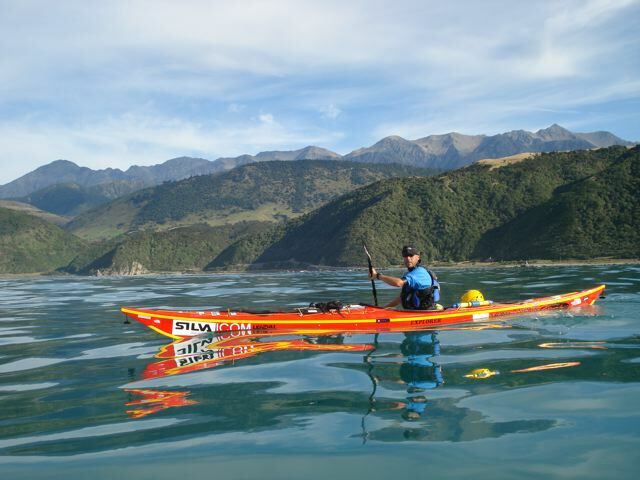 A multipe-award winning gritty, edge-of-your-seat portrayal of a couple’s battle against the elements while kayaking 2,400km around the South island of New Zealand. 50 minutes. 16 x 9. A multipe-award winning gritty, edge-of-your-seat portrayal of a couple’s battle against the elements while kayaking 2,400km around the South island of New Zealand. Justine and Barry struggle into 40knot headwinds, are thrown around in crashing surf and cope with illness and a helicopter evacuation in remote fiordland. Close encounters with albatrosses, dolphins & whales and the kindness of strangers keep them going for 67 days on one of the world’s toughest kayak journeys. Winner of 5 major awards including 'best adventure film' at Kendal Mountain Film Festival and the Montreal Festival of Travel & Adventure. 50 minutes. 1.8GB. 16 x 9.